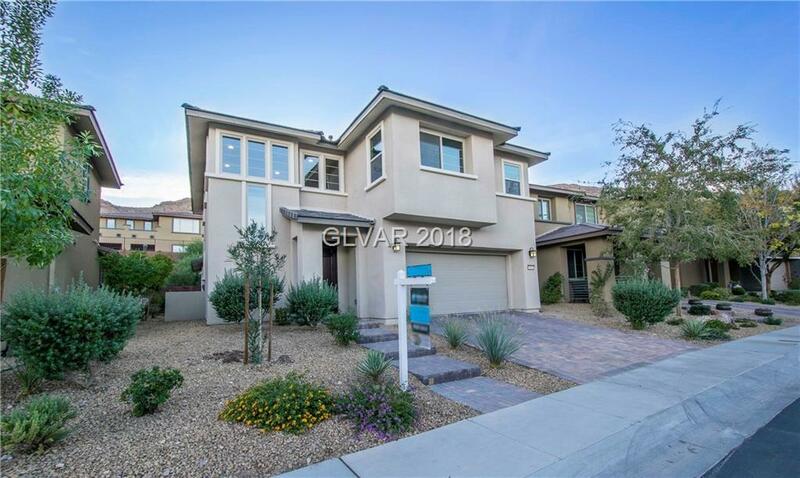 South Summerlin 4bed/4bath Home near Mesa Park. This 2-story has guest bed/bath downstairs. Open layout w/shiplap walled entry & staircase filled w/soaring windows. Large granite island surrounded by espresso kitchen cabinets, SS appl., accent wall & w/in pantry. New carpet/paint. Master bedrm has accent wall & 2 walk-in closets. Mtn view upstairs. Covered patio in back, b/in BBQ & gazebo. Near mountains & Mesa Park, comm. pool & rec areas. Directions: From 215 & Russell, Go West On Russell. Right On Mesa Park Dr.. Left On Hawk Springs Rd. Left On Shadow Bend. Home Is On Right Side.